Written in engaging and approachable prose, Migration, Incorporation, and Change in an Interconnected World covers the bulk of material a student needs to get a good sense of the empirical and theoretical trends in the field of migration studies, while being short enough that professors can easily build their courses around it without hesitating to assign additional readings. Taking a unique approach, Ali and Hartmann focus on what they consider the important topics and the potential route the field is going to take, and incorporate a conceptual lens that makes this much more than a simple relaying of facts. This book is a much-needed and refreshing look into the globalized nature of contemporary migration that highlights lesser-known aspects such as temporary workers, expatriates, and Muslims in Europe, and by distilling important academic theories, concepts, and analysis of contemporary immigration into a more accessible text that will hopefully reach a wider, more popular audience. This is an indispensable text for faculty teaching about migration issues in an era of globalization. The book packages the latest research in global migration in a way that faculty will be able to easily structure courses around and that students will find not only informative but also thoroughly engaging. I highly recommend it! The story of migration is far too unruly to be contained within disciplinary boundaries. With this book, the authors have achieved the near-impossible; they have woven a complex set of arguments into a compelling and teachable narrative. This is a great resource for students of migration and globalization from a variety of disciplines. This book combines succinct summaries of classics ideas with carefully selected and contextualized empirical facts, and presents a number of most pressing issues in international migration today in a highly accessible, to-the-point manner. A wonderful introduction to migration studies and related subjects. Highly recommended. Many academic books claim to be "readable." Few are actually a good read, but this one really is. It’s lucid, focused essay covers the high-flyers, and low-flyers in global migration, and provide detailed descriptions, as well as, clear summaries of the economic, cultural, legal and political contexts of globalization and migration. This is a perfect introductory volume for undergraduate students, and an excellent companion to more traditional readers on global migration. 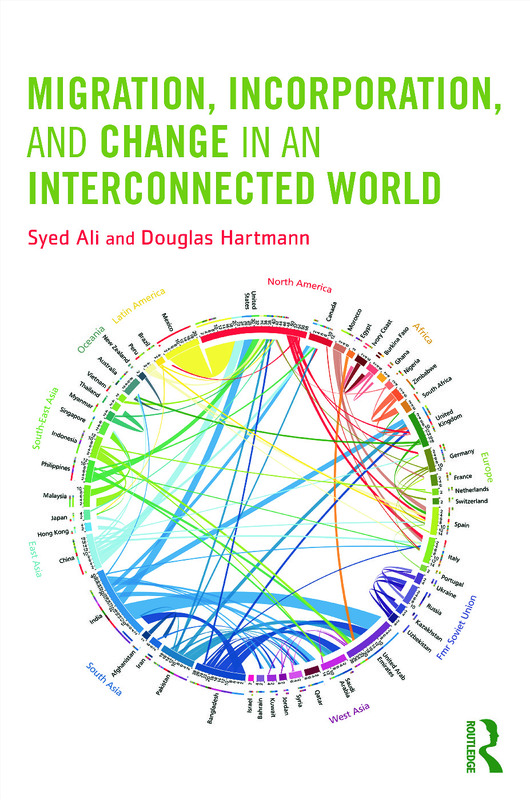 The issues surrounding immigration are often complex, but in Migration, Incorporation, and Change in an Interconnected World Ali and Hartmann have produced a quite accessible and persuasive analysis of this global phenomenon. Students of the field, at different levels, will find the book very useful. Syed Ali is an associate professor of sociology at Long Island University in Brooklyn, NY. He is currently the co-editor of Contexts Magazine, and is the author of Dubai: Gilded Cage. He is also an Ultimate Frisbee player and a potter. Douglas Hartmann (Ph.D. University of California, San Diego, 1997) is Professor of Sociology at the University of Minnesota. He is the author of Race, Culture, and the Revolt of the Black Athlete: The 1968 Olympic Protests and Their Aftermath (University of Chicago Press, 2003), and co-author of Ethnicity and Race: Making Identities in a Changing World (Pine Forge Press, 2007 with Stephen Cornell). Hartmann’s work has also appeared in the American Sociological Review, Ethnic and Racial Studies, the Journal of Sport and Social Issues, and Social Problems, and his comments on sport, race, popular culture, religion, and multiculturalism have been featured in magazines and newspapers around the country as well as on television and radio. In addition, Professor Hartmann is President of the Midwest Sociological Society (MSS), and co-editor and publisher (with Chris Uggen) of the award-winning TheSocietyPages.org. Hartmann is currently working on a book entitled "Midnight Basketball, Race, and Neoliberal Social Policy." textbook in that it is not comprehensive. We planned it that way. We wanted the book to be short and cheap and conceptual so that the professor could use it to build a course around, and not feel too guilty assigning students additional materials to read. Wasn’t that nice of us? To read more, download the full preface. Continue reading the front matter and first two chapters of this fascinating text.